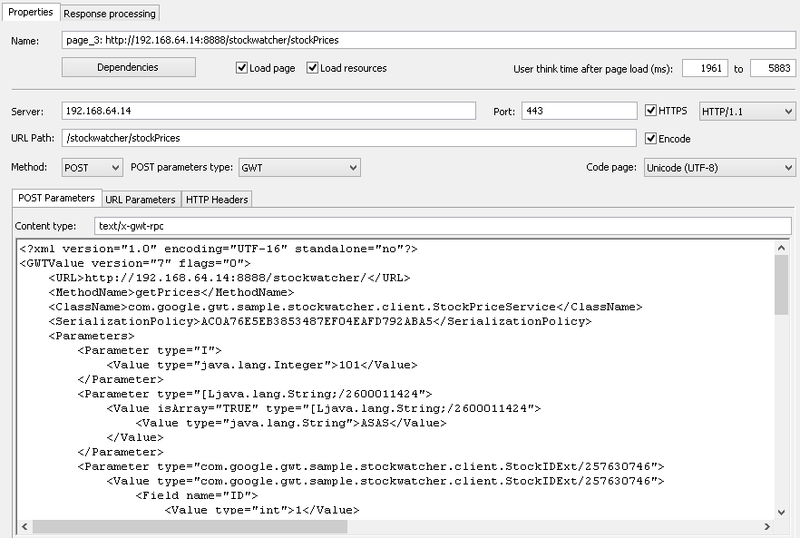 WAPT Pro uses Java to make conversion of GWT data to XML. Therefore, you should have Java installed on your computer. The version of installed Java should be the same or higher than the one used on the server you are testing. 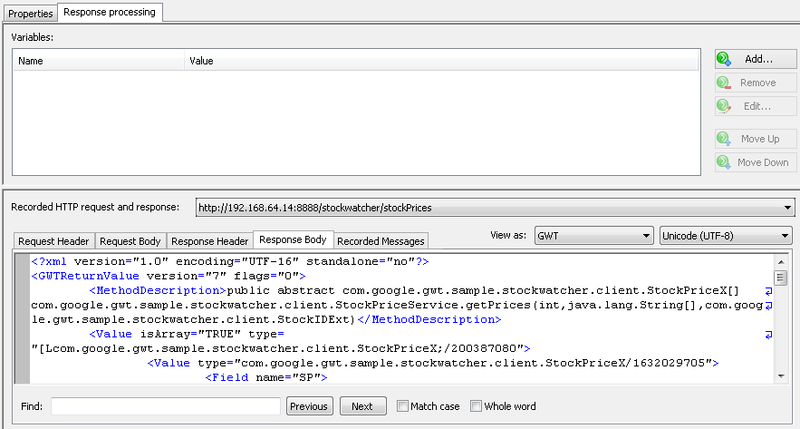 If a recorded profile contains GWT data, you can parse it to represent this data in XML format. You should parse each profile separately. This is done by a special button in profile properties: Parse GWT requests. You can add these files using the Add button in the upper pane. To be processed correctly, jar/war archives should have the certain structure. These files are listed in the lower pane. 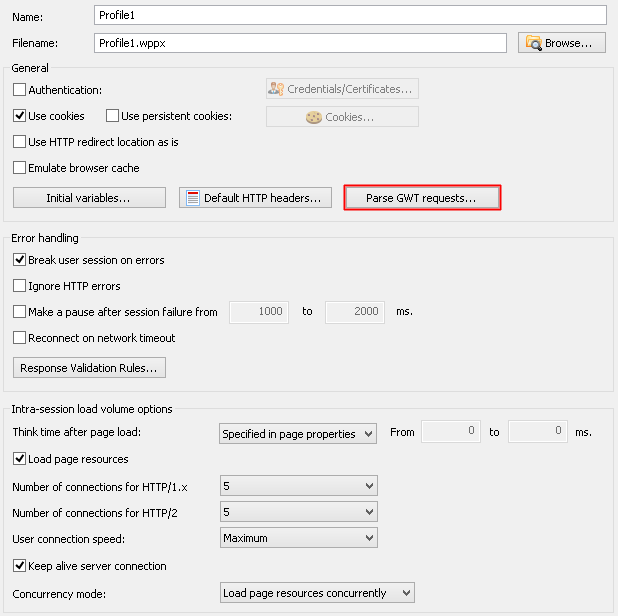 Using the Browse button, you can change the path of selected policy file. You can edit the value of any tree leaf and the whole XML document for any tree node. It is also possible to use WAPT Pro internal variables to insert session-dependent values here. As a result when the profile is executed, the values of these variables will be passed inside the corresponding parts of GWT code. To insert a variable, enter the $ sign and you will see a prompt with the list of available variables. Select a desired variable in the list to insert it in the XML code. Note that you cannot use WAPT Pro functions in the XML code directly. You should define a variable which is calculated as a result of the necessary function, and then insert that variable in the XML code. 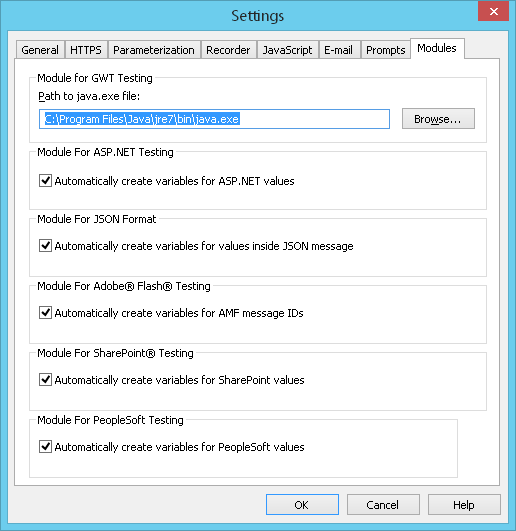 You can use the standard XPath function. In the simplest case this function returns the value of a node inside an XML document using the path to that node. 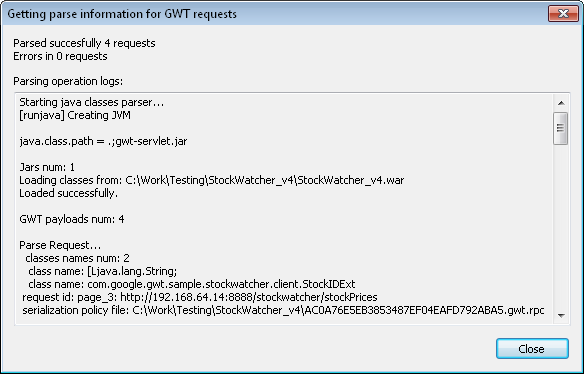 During test run XML code of parsed requests will be automatically converted back to GWT and sent to the server. If this request was not parsed yet, you would see the parsing dialog (the same one as for parsing a profile) where you should specify 2 files: jar/war archive with Java classes and serialization policy file having the extension .gwt.rpc. Click the "Process" button. After successful conversion you will see the content of this request in the XML form.